JUNG continues further development of LB Management. Two new components are added to the modern system for controlling light and shading for convenient building control. This insert for LB Management controls both the lighting and motors. 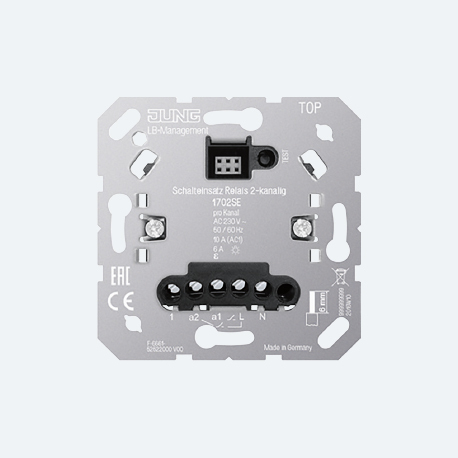 In combination with the 2-gang standard centre plate, series connections can be installed. In conjunction with a 3-wire satellite unit, double toggle switches are created. 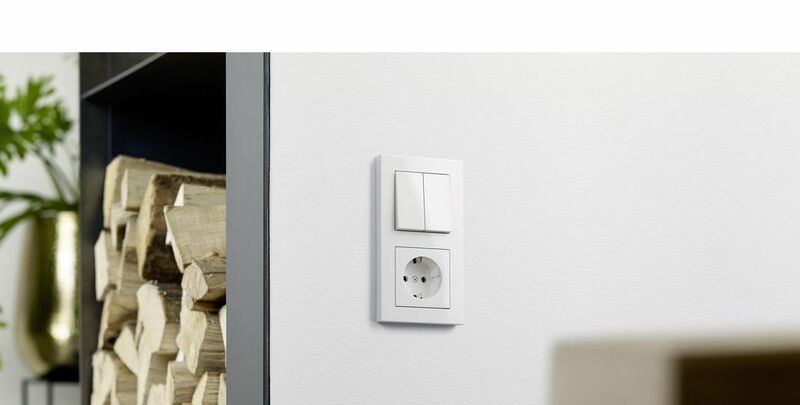 Installers provide the second channel of the switching insert with a switch-on or switch-off delay using a 1-gang standard centre plate. 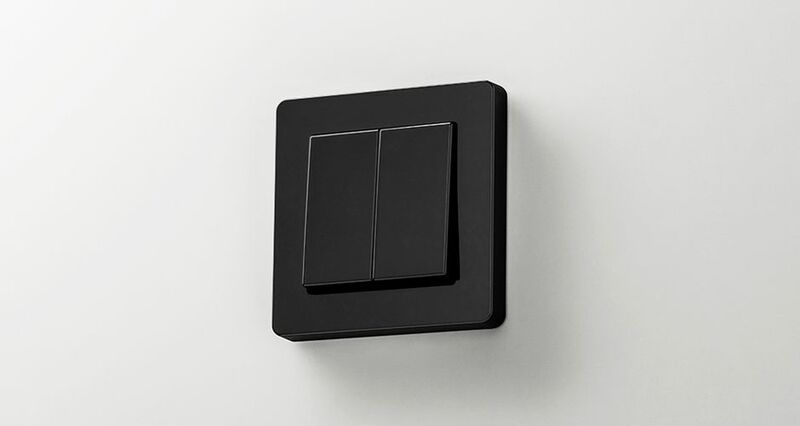 The 2-gang touch dimmer Universal LED switches and dims the lighting. LB Management attachments are suitable for use. 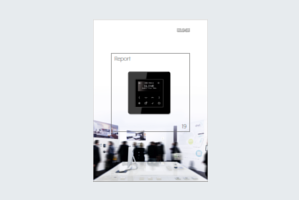 The touch dimmer uses the leading edge phase control or trailing edge phase control principle. 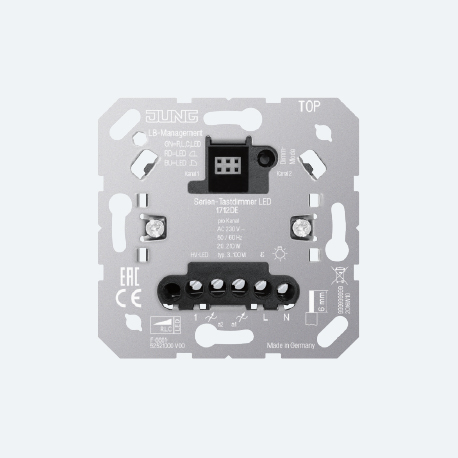 In conjunction with a 3-wire satellite unit, dimmable double toggle switches are created. The light insert can be used both as the master unit and as a satellite unit.